Now that the forever-winter is finally over, and summer is here, your kids will be out of school before you know it. And, the last thing you want is for your kids to be cooped up in the house playing video games all summer long. But, the problem is it can be expensive keeping your kids busy in the summer, right? False! The truth is, there are plenty of free or affordable ways you can keep your kids entertained and busy this summer. Here are just a few ideas to get you started. Your local library has aisles and aisles of free books for your kids to enjoy over the summer. Pick one day per week to take your children to the library so they can pick up new books to read over the summer and return the ones they finished. You can even start a contest to see who can read the most books by the time school starts. Take a weekly trip to your local public library. It’s a smart and inexpensive way to keep your kids busy this summer. Camping has long been the vacation-of-choice by veteran families living on tight budgets. Most veterans already have a lot of the equipment they’ll need for their trip, but even if you must purchase some, you’ll be able to use it again and again, so it will be worth the investment. And, with camping you don’t even have to venture to parts unknown; you can camp right in your own backyard to save even more. From Memorial Day through Labor Day, active duty military families (including the National Guard and Reserve) can enjoy a variety of museums all around the country free of charge, courtesy of the Blue Star Museums program. For a full list of participating museums, click here. 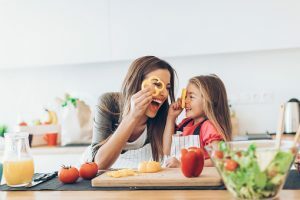 If your child loves hanging out with you in the kitchen, start using that time wisely and teach your child how to cook. This is a skill they will need to know when they eventually move out, so why not start while they’re young? Plus, by teaching your children your family’s treasured recipes, you will have the peace of mind knowing that they will continue the traditions of your parents and theirs before them. Keep your kids busy this summer by teaching them how to cook. It is an important life lesson! Wildlife sanctuaries are always looking for summer volunteers to help with the rehabilitation of injured animals and birds. This is not only a fun task, but also one that is highly educational. By the end of the summer, your child will have a new appreciation for nature. Kids are creative by nature, and one way to help them use and enhance that creativity is to help them put on a stage play for the family. You can help them write their script, sew their clothes, and make the set pieces. They will enjoy themselves immensely while letting their creative juices run wild. Or, help them create a movie using the camera on your smartphone or tablet. Who knows, your child might become so enthralled with the filmmaking process that they might turn out to be the next Martin Scorsese. Sit down with your kids and get them involved in making a special board game that only your family plays. Let them help come up with the rules and objectives of the game. Let them create the game board and any accessories or cards. This is a project that can keep them busy for days and they’ll shine with pride whenever the game is played. Create an intrinsic scavenger hunt for your kids to play. Come up with challenging riddles for them to solve before they can find the next item. This is a game that you can play several times a week, with different hiding places every time, so your kids won’t be able to jump to conclusions. If you have a rainy day to contend with, you can let your kids enjoy the day watching movies. But, the rule is before they watch an entertaining movie, they must first watch one that is educational. There are dozens of kid-appropriate documentaries available on Netflix, Amazon Video, and Hulu for them to pick from. If you watch it with them, you can even create a questionnaire about the documentary for your kids to answer to make sure they were paying attention. These are just a few of the free or affordable options available for a family over the summer, but each is guaranteed to keep your kids happy, engaged, and busy. Summer is right around the corner, so start planning your kids’ activities now. Begin with these ideas and then see what else you can come up with!